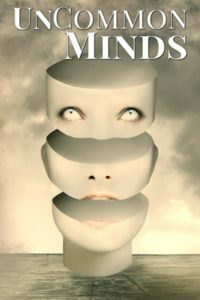 My new story, Sitala, has just been published in the UnCommon Minds anthology. To celebrate, I’m interviewing some of the authors about their stories. 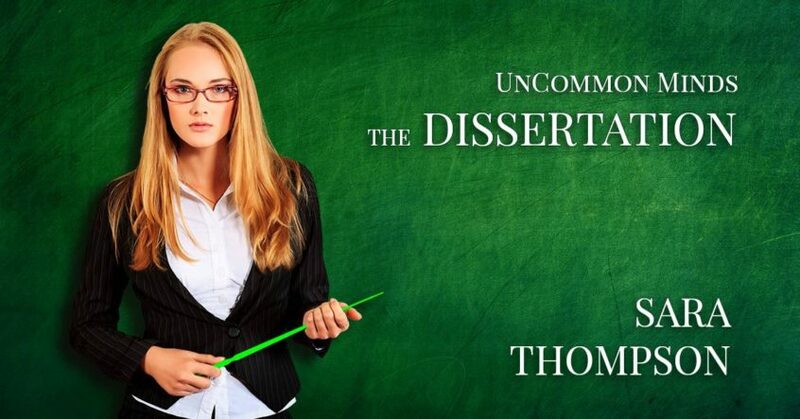 Today, I’m talking to Sara Thompson about The Dissertation. I had been mulling over a story in my head about a ph.d. student who is writing her paper about a very young and very intelligent serial killer. I was really struggling with how to get the story out on paper as a novel. When I saw a call for submissions to UnCommon Minds, I challenged myself to write this story that was haunting me in a short story format. If nothing else, I would get it on paper and be able to move on with my life. What are you most proud of about the story? This is tough story for me to talk about because I absolutely love it. I’ve put in a few twists and I so desperately want to tell everyone about them but then that would ruin the story. I’m not good with surprises, I pretty much have to do my gift shopping right before the gift giving because it kills me to wait. This made it really tough to write this story because I had to wait till the end of the story but I did it. To me, that’s something to be proud of. All my stories are my babies so there’s a lot of pride in being included in UnCommon Minds. If you could merge someone else’s mind with your own, who would you choose and why? My first thought was Stephen King but that seems a little obvious and if I was being truthful, it’s his son Joe Hill who has my little writer’s heart all a twitterpated. 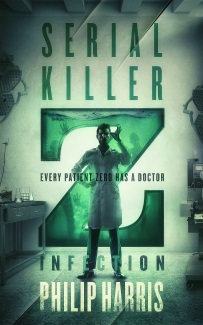 I love the way he creates his stories and the fact that they are so out of the norm but they feel plausible. Those are the stories I want to be known for. I’m torn. I had a longer story in my head when I was thinking about this particular tale. While I think it would be fun to explore more about my characters, I’m not sure there’s any surprises left. What do you think the title of the next UnCommon anthology should be? I would love it to be UnCommon Loves. I love writing really twisted romance stories – ones were two monsters meet, fall in love, and the reader is completely on board with it. What’s uncommon about you or your mind? I can’t help but think in “what-ifs”. It was a trait that drove my parents nuts but I think it makes me interesting. I apply a lot of “what-ifs” to my writing and almost anything I pursue. I would love if interested readers would come read my stories I have on Wattpad and Write On. I would love feedback and the more people read, the more I am apt to share more. A big thank you to Sara Thompson for taking the time to answer my questions. CLICK HERE to get your copy of UnCommon Minds from Amazon today.